Today’s competitive market and powerful customers? 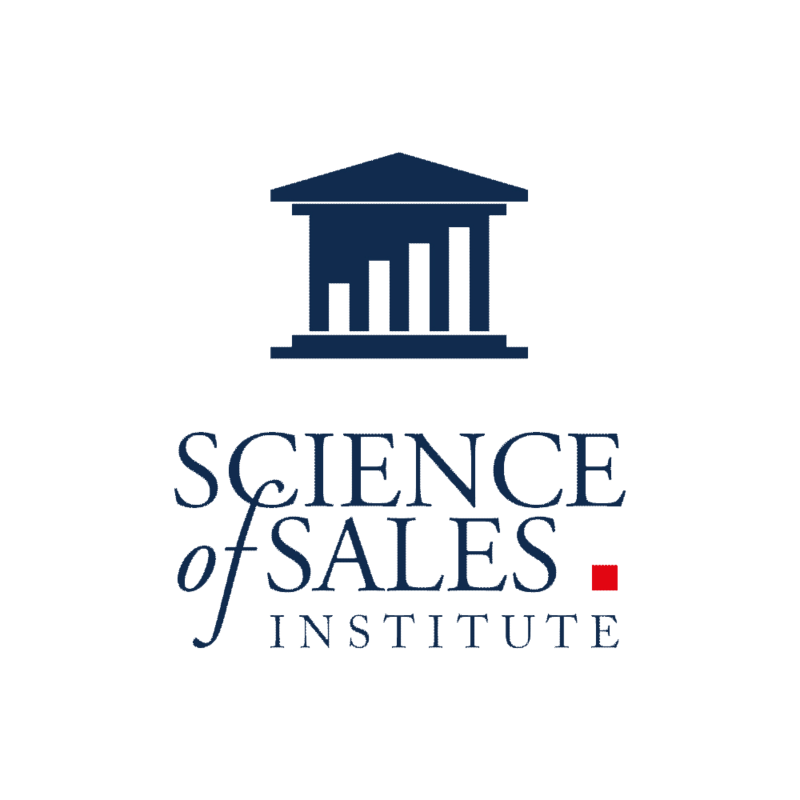 Having made enormous efforts to develop this one-of-a-kind constructive sales program, the Science of Sales Institute is glad to provide you with today’s solutions to your salespeople talent development circulating around three factors: Behavior, Competencies, and Science. Science Into Sales. Learn how to formulate your sales activities within a proven framework in order to better allocate your sales efforts. Change of Buying Behavior. Today’s customer buying power is higher and 80% of their decision is settled before meeting a salesperson. Learn how to re-shape the buyer behavior, understand the buyer persona and prove the solution value. Client-centric Sales Process. Learn to build the discipline of overcoming roadblocks, and following a client-centric sales process while having a systematic approach to developing business opportunities. Innovative Closing. Learn how to properly ask for the deal and help the client take the right decision without crossing the line. Key Account Management. Learn how to plan and categorize your accounts and how to develop the relationship with your key accounts to elevate from being an approved vendor to a trusted partner. Power of Questioning. We have been raised to answer questions, but never to ask the right ones. In sales, it’s a different game. Learn how to master the questioning skills that enable you to get not just any answer, but the desired one. Digital Practice in selling. Learn how to benefit from the utilization of digital platforms and technology applications for your advantage within the game of selling from prospecting to closing after sales. Entrepreneurship in Sales. We always believe a sales profession is very similar in characteristics to the entrepreneurial journey. Learn how to act as a business professional with an entrepreneurial mindset. In Partnership with the Science of Sales Institute – The London Accredited sales Institute in the Middle East. This workshop is part of the Science Sales Institute Development Program occurring around the region, facilitated by the expert of sales and partners in one of the leading companies of Sales Management in the region – HEED. Role: Mazen founded HEED in 2011 – A recognized company for Integrating Science into Sales along sales force effectiveness and strategy optimization. He has personally consulted more than 100 companies in different countries across the region. Expertise: Mazen’s areas of expertise include sales strategy, sales force effectiveness, structure and deployment, sales analytics, along with training & coaching. He has written 60+ published articles, been selected a speaker in many conferences, and been awarded as the best-in-class Sales Management Consultant for driving companies’ revenues growth to high potentials. Fees: 750 USD per attendee including all materials and lunch (Early Bird 689 USD before 20th of February 2019).